Root canal systems resemble river systems in many ways. Both follow highly variable and unpredictable pathways. The canal morphology often is complex and unpredictable, severely limiting the practitioner's capabilities and posing challenges to modern medicines, materials and instruments. The past decade has seen many changes in the practice of endodontics, such as in materials, techniques, equipments, instrument design, and the types of metals used to manufacture endodontic instruments. However, the goal of endodontics, as stated so clearly by Schilder,  have not changed, "Root canal system must be cleaned and shaped, cleaned of their organic remnants and shaped to receive a three-dimensional hermetic (fluid tight seal) filling of the entire root canal space." The goal for cleaning and shaping of the root canal system is to obtain a continuously tapering funnel from the coronal access to the apex that flows with the shape of the original canal. Many techniques and instruments have been tried to achieve this goal. Stainless steel instruments produced satisfactory results in straight canals but chances of errors i.e. 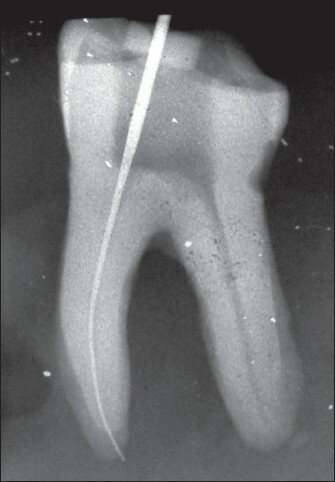 zips, perforations, ledges, etc., increased when the operator is confronted with curved canals. Ni-Ti instruments were developed in the hope that their increased flexibility would maintain the curvature of the root canal and will decrease the chances of error. Ni-Ti was developed by Buchler et al in the Naval Ordnance Laboratory. Walia  et al investigated the feasibility of manufacturing root canal files from Ni-Ti and evaluated the bending and torsional properties of these instruments. 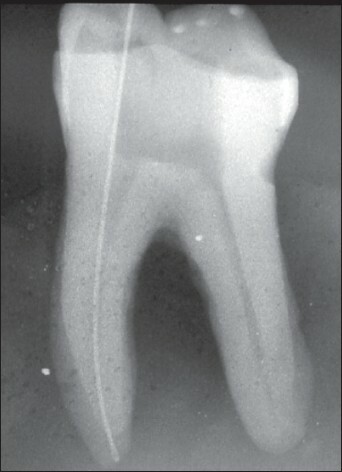 They suggested that NI-Ti endodontic files have particular promise for the clinical preparation of curved root canals. Since the advent of NT engine by McSpadden in 1991 and LightSpeed system by Wildey and Senia, the market is flooded with Ni-Ti instruments with different designs. Since the literature is deficient as regard the quality of preparation with newer rotary instruments in respect of maintenance of canal curvature and cleaning efficacy in curved canals, this study was carried out with the aim to evaluate and compare the efficacy of hand K-files, LightSpeed, ProTaper, and Mtwo instruments in maintaining the curved canals and also to assess the cleaning ability of these instruments. The present study was carried out in-vitro on 120 permanent mandibular first and second molars collected from Exodontia Department of Punjab Government Dental College and Hospital, Amritsar, and also from private dental clinics in the city. However, badly mutilated teeth and teeth with root caries were not selected for this study. The collected teeth were cleaned of all debris/calculus, etc., thoroughly washed, and stored in 10% formalin. 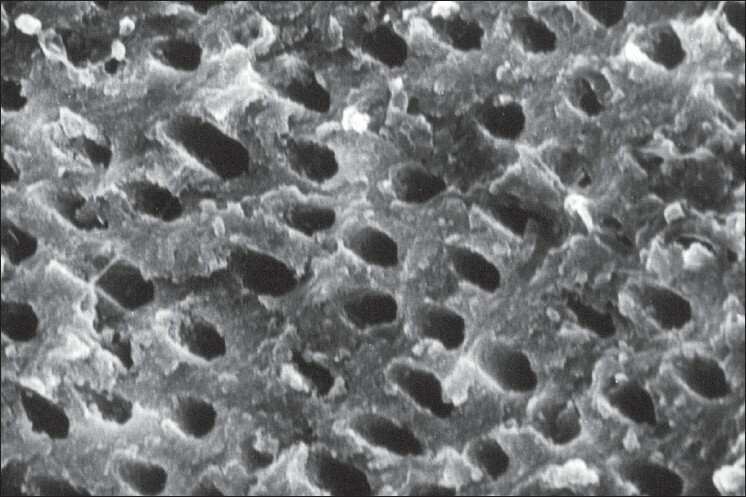 Access cavity was prepared using sterilized round and long tapering fissure burs following Grossman's technique. Preoperative radiographs were taken buccolingually following paralleling technique keeping the object-source distance at 16 inches. The object-source distance was maintained for all the subsequent radiographs. 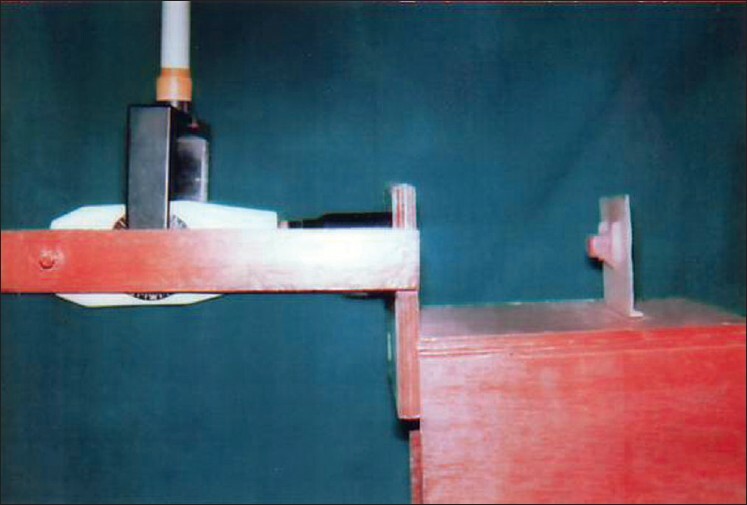 The X-ray source/tube, X-ray film and the tooth to be radiographed were made stable over a specially designed gadget [Figure 2]. A No.10 file was slowly inserted into the mesiobuccal canal, till it appeared at the apical end and the samples were radiographed. The curvature of the canal was assessed and the teeth with curvature less than 20Ί were rejected. The samples so rejected were replaced by suitable samples. The samples were then randomly divided into four groups, namely Group A, Group B, Group C, and Group D, having 30 teeth each. The mesiobuccal canal of the selected samples, group wise, were prepared by different instruments [Figure 1], [Figure 2] keeping the working length 1.0 mm short of the total length measured from the preoperative radiograph, putting no.10 file till the apical end [Figure 3] and [Figure 4]. To minimize variations in the results, the canals were prepared up to size 30 only. Any sample that could not be prepared up to size 30 or required wider preparation was rejected. In group A, the selected canals were prepared using hand K-flexofiles (Dentsply) following the crown down technique. The coronal third was prepared using suitable and sterilized Gates Glidden drills (Dentsply) and the apical third was prepared to no. 30 instrument, as kept uniform for all the samples [Figure 5]. In group B, the selected canals were prepared following the crown down technique using LightSpeed (San Antonia, USA) as instructed by the manufacturer. The coronal two third was prepared with suitable and sterilized Gates Glidden drill (Dentsply) and apical third with LightSpeed system up to size 30 as kept uniform for all the samples [Figure 6]. In group C, the selected canals were prepared following the crown down technique using ProTaper rotary (Dentsply) as instructed by the manufacturer. The coronal and middle portions of the canal were prepared using S x , S 1 , and S 2 files and apical portion was prepared using F 1 , F 2 , and F 3 files, which equal to size 30 preparation as desired. In group D, the selected canals were prepared using the Mtwo system (Sweden and Martina, Italy) as instructed by the manufacturer. The coronal and middle third portions of the canal were prepared using 40/.04 and 35/.04 files and apical third by 30/.05 file. The prepared tooth, group wise, was radiographed following the same parameters as for pre-operative radiograph. 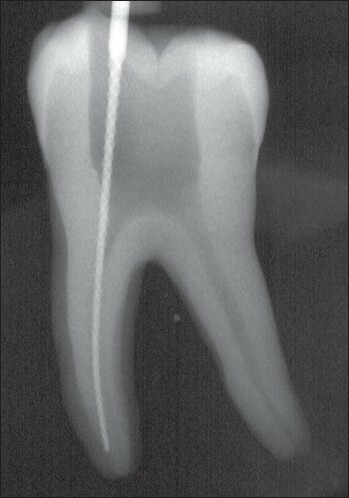 Another radiograph with the last used file inside the mesiobuccal canal was also taken following the same criteria [Figure 5] and [Figure 6]. The radiographs after processing were stored in humid free environment for scanning at later stage. The radiographs were scanned at 300 dpi using a high-resolution transparency scanner (Epson). The radiograph so scanned was taken into vector drawing and edited using the Corel Draw 9.0 software. An outline in vector form was drawn around the tooth and also the root canal. The presence of file facilitated the drawing. 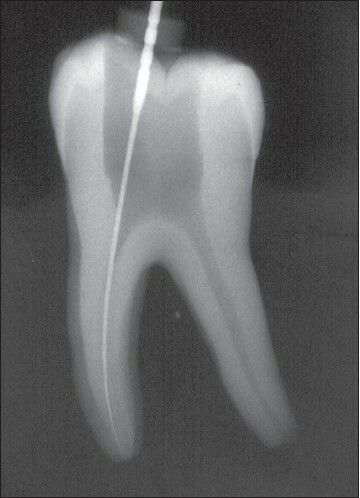 The tip of the file was taken as apical end of the root canal. The subpulpal wall was taken as the coronal end. The root canal of the preoperative tooth with file, so obtained in vector drawing, was vertically divided into three parts: coronal 1/3, middle 1/3 and the apical 1/3 from the level of subpulpal wall to the tip of file. The lines depicting the width of the root canal were obtained at the levels of coronal of the coronal 1/3 of the root canal, apical of the coronal 1/3 of the root canal, apical of the apical 1/3 of the root canal, and coronal of the apical 1/3 of the root canal. The center points of these lines were determined using Corel Draw 9.0 software tools. Two lines were drawn, one joining the centre points of coronal line of coronal 1/3 and apical line of coronal 1/3 and other joining the center points of apical line of apical 1/3 and coronal line of apical 1/3 of the root canal. The lines so drawn were extended so as to intersect each other at one point. The angle of this intersection was measured using Corel Draw 9.0 software tools. The preoperative angle of the curvature of mesiobuccal root canal, so obtained was noted for each tooth. Thereafter the scanned postoperative radiographs were studied. Though the utmost care was taken to get the postoperative radiograph using same gadget and following same parameters, even then the minor discrepancy, if any, was also resolved by superimposing the drawing of preoperative radiograph over the postoperative radiograph. The angle of postoperative radiograph was measured as described for that of preoperative tooth. The change in angle, if any, was recorded, compiled, and put to statistical analysis. 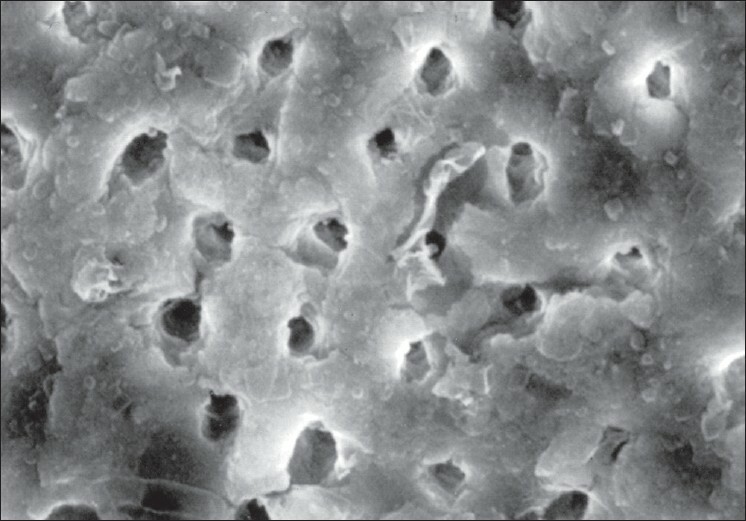 Sets of ten teeth duly prepared, from each group, were selected at random for scanning electron microscopic evaluation. The mesiobuccal roots of prepared teeth were halved by first making a nick on mesial and distal side with the help of carborundum disk (Dentoreum, USA) using straight hand piece (NSK, Japan) rotated at slow speed. The root was then separated using chisel and mallet. The mesiobuccal root canal was visible on both the halves. In case the root canals could not be halved exactly, reason may be any, the sample was discarded. The specimens were dehydrated for 1 h in successive concentrations of acetone (Merck) and then stored in 100% acetone for 24 h and were then mounted on brass stubs. The stubs were gold sputtered in an ion sputtering machine (Jeol, Japan). The specimens were examined under a scanning electron microscope (Jeol, Japan) for evaluation of root canal at a magnification Χ2500. Ten photomicrographs were taken for each pulp space (i.e. coronal, middle, and apical third), five on each side [Figure 7],[Figure 8],[Figure 9],[Figure 10]. The site to be photographed was chosen at random without any bias. The group wise results were compiled and put to statistical analysis. This study was carried out broadly under two parts, I and II. In the Part I of the study, mesiobuccal root canals of mandibular first and second molars in 30 samples were prepared in each of the four groups (i.e. hand K files, LightSpeed, ProTaper, and Mtwo) and analyzed for change in curvature. Whereas, in the Part II of the study, 10 samples at random out of 30 samples in each of the four groups were considered to determine the leftover debris using 5.25% NaOCl followed by 17% EDTA as irrigant and finally rinsing with normal saline in each of coronal, middle, and apical locations. As regards basic computations for curvature maintenance with respect to hand K-files, it was observed that the mean curvature (in degrees) for the pre-operative readings (30 in all) was 30.29° and that for post-operative readings was 22.58°. So the mean change in curvature for hand K-files was 7.71˚, for LightSpeed instrument it was 4.57˚, as regard to Protaper files, the mean change in curvature was found to be 6.03˚, and for Mtwo instrument it was found to be 5.43˚. Further in order to test whether the mean change in curvature was statistically significant or not, the data were subjected to Student's paired 't' test and it was found that the percentage change in curvature for all the four groups were statistically highly significant. The maximum percentage change in curvature was observed to be with respect to hand K-file, followed by ProTaper then by Mtwo, and least with respect to LightSpeed. Now in order to pinpoint as to which of the four methods has resulted in the maximum and minimum changes, the critical difference (C.D) values was sought. As per these values, it was seen that the second method (i.e. LightSpeed) has turned out to result in the minimum percentage change in curvature, followed next by Mtwo, then by Protaper, and then by hand K-file. As regards statistical analysis of the percentage extent of mean left-over debris through four methods of preparation (i.e. hand K-files, LightSpeed, ProTaper, and Mtwo) in three different areas of root canal (i.e. coronal, middle, and apical portions), it was seen that the four methods of preparation have resulted in substantially different extent of left over debris and, similarly, the extent of debris at the three areas in the root canal were grossly different from each other. The minimum percentage mean leftover debris was found to be associated with Protaper followed by with Mtwo, next by LightSpeed, and maximum with hand K-file. It was seen that in all the four groups, the coronal area was observed to be associated with much less extent of debris than that in the middle area, and similarly, the extent of debris in the middle area was much less than that in the apical area. In this study, the "crown down technique" of root canal preparation was followed. Davis et al 2002  stated that flaring the coronal portion of the root canal before instrumenting the apical region was beneficial as it increases mechanical efficiency of the instrument and provide better access to the apical portion. Further, numerous studies have established that the failure do occur because of poorly managed coronal areas. The number of microorganisms is reduced as the apical region of the root canal is approached. It would seem sensible, therefore, to prepare the coronal portion of the root canal first in an effort to reduce the number of microorganisms that may be forced subsequently into the periapical tissues. In addition, if the coronal one third of the canal is prepared before instrumentation of the apical portion the latter is more easily accomplished. Roland et al (2002) stated that coronal preflaring reduced the risk of stress and binding along the canal wall that could contribute to instrument failure and separation. Sodium hypochlorite (NaOCl) has been shown to effectively contribute in chemo mechanical debridement of a root canal system. NaOCle acts as a lubricant for instrumentation and is an effective antimicrobial agent with the capability of detoxifying the root canal system. The efficacy of NaOCl for the dissolution of organic tissue has been related to its concentration. 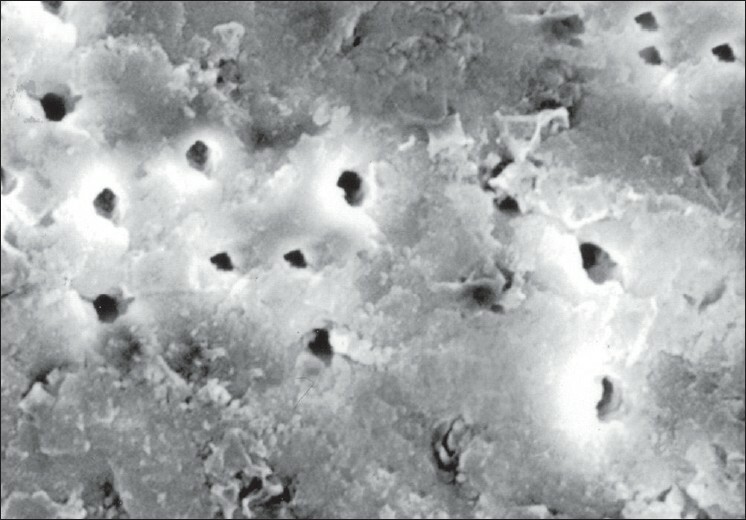 Harrison and Hand 1981  showed that dilution of 5.25% NaOCl resulted in a significant decrease in its ability to dissolve necrotic tissue. Because there is no single solution, which has the ability to dissolve organic tissues and to demineralize the smear layer, a sequential use of organic and inorganic solvents have been recommended. The leftover debris play an important role in the success of the root canal treatment, since, it has been established that the leftover debris harbors microorganisms. The irrigation with sodium hypochlorite along with EDTA definitely removes debris; however the complete removal of debris has not been achieved so far. As regard cleaning efficacy, the results inferred that the percentage means of left-over debris after using these four instruments were statistically significant at 1.0% probability level; however, the difference between the percentage mean values of left-over debris between ProTaper and Mtwo was not significant. The cleaning efficacy with ProTaper and Mtwo was comparable followed by LightSpeed and was least with hand K-files. The results further inferred that with all the four instruments, debris over the apical area was more than the middle and coronal areas. The findings of the present study concur with the findings of Hulsman et al 1997 , , who have reported less cleaning efficiency in the apical area with different rotary instruments. 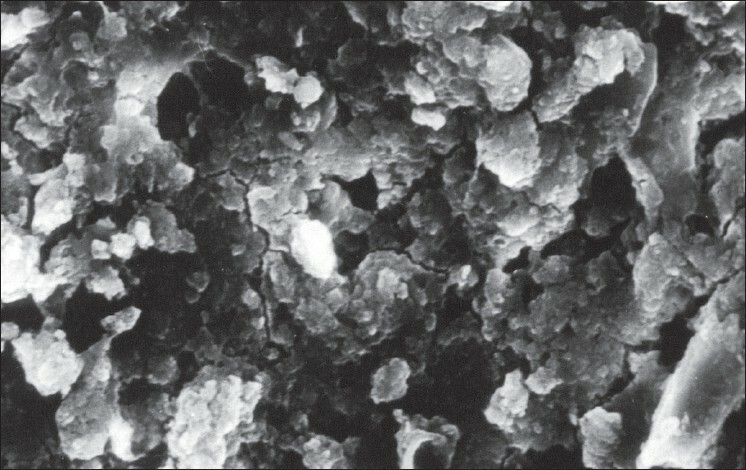 Foschi et al 2004  in their study comparing Mtwo and ProTaper observed that both instruments produced a clean and debris free surface in the coronal and middle third; however, these instruments were unable to produce dentine surfaces free from a smear layer and debris in the apical third area. Maximum leftover debris was observed with hand K-file. These findings concern with Bechelli et al 1999  who found differences between the scores of manual and LightSpeed instruments. Literature is still deficient as regard studies that compare the hand K-files with ProTaper, LightSpeed, and Mtwo instruments. Further studies are required to be carried out on human teeth comparing the cleaning efficacy of hand files with rotary instruments comprising larger number of teeth and observing the entire surfaces of the root canals. Following conclusion were drawn from the present study. There was a mean change in curvature (7.71°) from preoperative curvature to postoperative curvature with hand K-files, which was highly significant (P<0.01). Similarly, the mean change in curvature with LightSpeed (4.57°), ProTaper (6.03°), and Mtwo (5.43°) was also turned out to be highly significant (P<0.01). As regard the mean percentage change in curvature it was observed to be maximum with respect to hand K-file (27.06) followed by ProTaper (21.78), then by Mtwo (16.29), and the least (13.71) with LightSpeed files. The mean percentage of left-over debris with all the four methods of preparation in different areas resulted in substantially different results i.e. the coronal area was observed to be associated with much less extent of debris than that in the middle area and similarly, the extent of debris in the middle area was much less than that in the apical area. The mean percentage of leftover debris by different methods was observed to be statistically significant at 5% probability level. However, the difference in mean leftover debris between ProTaper and Mtwo was not significant. The minimum percentage mean leftover debris was found to be associated with ProTaper (65.48%) followed by Mtwo (66.22%), LightSpeed (71.67%), and the maximum with hand K-files (74.16%). However, further studies are required to be conducted on a larger number of extracted human teeth focusing on three-dimensional analysis of configuration of root canals with these four instruments. 1. Schilder H. Filling root canals in 3 dimensions. DCNA 1967:11:723-44. 3. Davis RD, Marshal G, Baumgartner JC. Effect of early coronal flaring on working length change in curved canals using rotary Ni-Ti versus stainless steel instruments. J Endod 2002;28:438-42. 10. Schafer E, Erler M, Dammaschke T. Comparative study on the shaping ability and cleaning efficiency of rotary Mtwo instruments. Part 1- shaping ability in simulated curved canals. Int Endodo J 2006;39:196-202. 11. Schafer E, Erler M, Dammaschke T. Comparative study on the shaping ability and cleaning efficiency of rotary Mtwo instruments. Part 2- cleaning effectiveness and shaping ability in severely curved root canals of extracted teeth. Int Endod J 2006:39:203-12. 12. 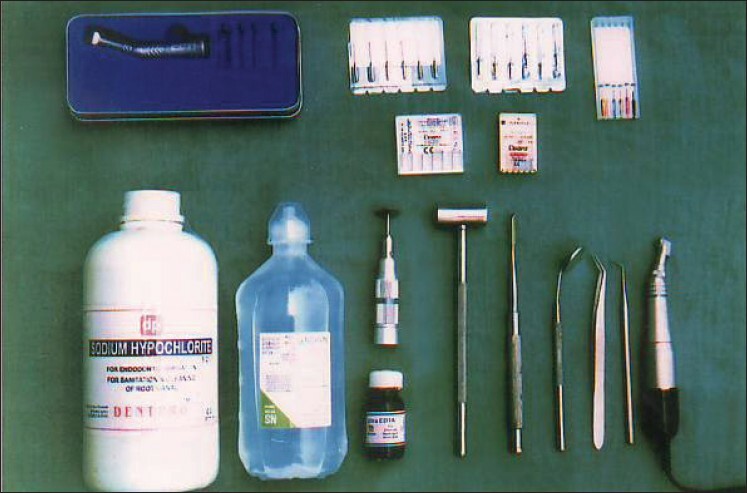 Hulsmann M, Rummelin C, Schafers F. Root canal cleanliness after preparation with different endodontic handpieces and hand instruments: A comparative SEM investigation. J Endod 1997;23:301-6. 13. Hulsmann M, Bluhm V. Efficacy, cleaning ability and safety of different rotary Ni-Ti instruments in root canal retreatment. Int Endod J 2004;37:468-76. 15. Bechelli C, Orlandini SZ, Colafranceschi M. SEM study on the efficacy of root canal wall debridement of hand versus LightSpeed instrumentation. Int Endod J 1999;32:484-93.